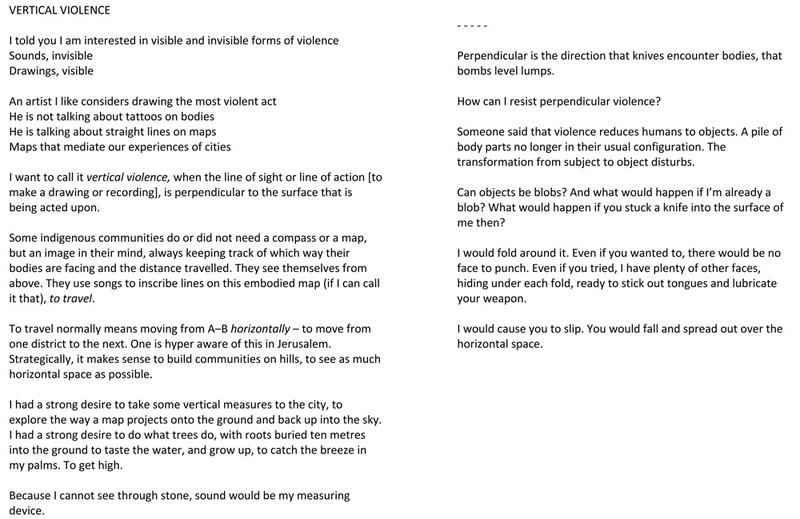 While reading this poem I sat myself on a wall next to an otherwise undetectable wasps’ nest, which I had the ability to discover by listening with headphones through a directional microphone. The sound of the wasps provided a background ‘buzz’ to the reading. 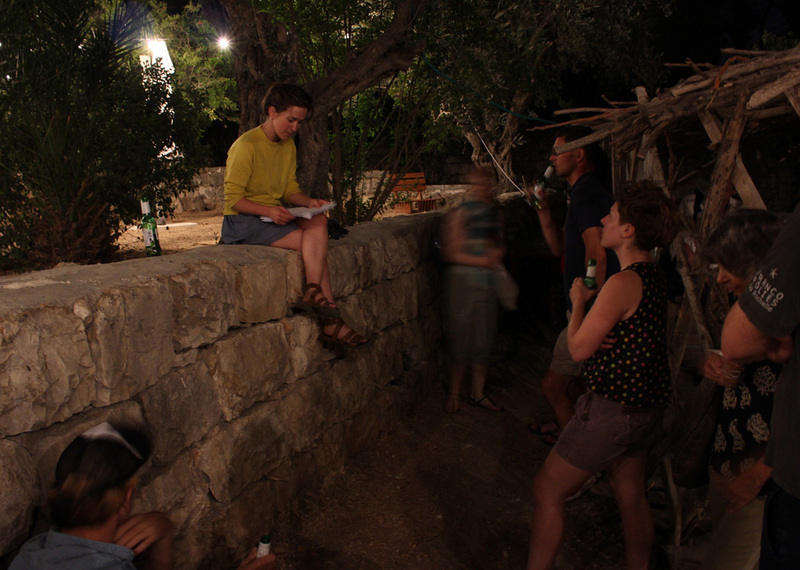 This writing came out of a workshop Here, There – Soundscapes on the Seam, the first of an ongoing collaboration between the Academy of Art at the University of Bergen, the Sound Art MA at London College of Communication and the Advanced Studies Programme for Experimental Music and Sound Art at Musrara School of Arts for Sonic Art in Jerusalem (host for this iteration).